The “Christmas” in my antique Christmas cactus is a misnomer. Some years, this living heirloom from my great-grandmother flowers by Dec. 25, in others Jan. 25. This year a few blooms opened the week after Thanksgiving. Such uncertainty is OK. After all, an important ingredient of holiday magic is surprise. Sadly, some growers never get a Christmas cactus to rebloom. Even my parents and grandmother rarely were rewarded with flowers. What’s my secret formula? Rain water whenever possible; monthly doses of a granular, organic fertilizer during the growing season; and cold temperatures. I leave the sprawling plant on the north-facing front porch until autumn readings regularly dip into the low 30s. Only after sub-freezing nightly temps make schlepping a pain, do I put it in the coolish dining room beside a west window until spring’s return. Fortunately I don’t have to wait for blossoms on this old, cantankerous Schlumbergera bridgesii to ensure living color during the dormancy of winter, not when instant gratification with fresh flowers costs only a few dollars and is actually good for your health. 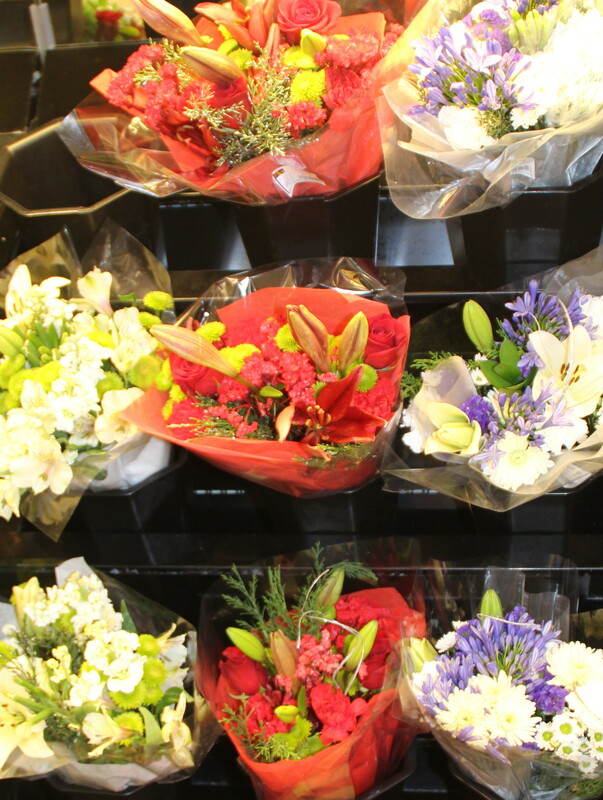 Cures for winter blues await in florist shops and supermarkets for fast-food items, often less. These fresh bargains are usually long-lasting carnations and alstoemeria, yawners among the horticultural elite. But pair a flower or two with a bit of greenery snipped from your landscape or florist fern fronds and suddenly the sun comes out on the grayest day. For about the cost of a multi-item fast-food meal you can buy a potted orchid, African violet, cyclamen or other plant that lasts almost long as silk imitations. A friend who returned to her Midwest roots after several years in Florida said fresh flowers each week kept her sane during the first winter. Can’t say that about hamburgers and french fries — plus flowers won’t clog arteries or add pounds. 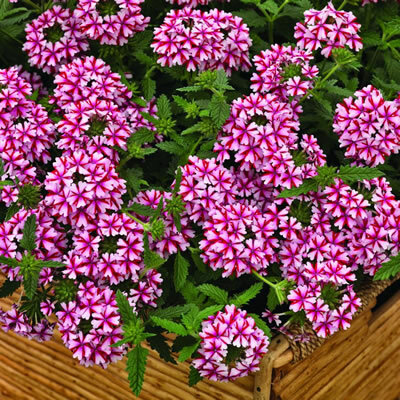 First Place: Verbena ‘Lanai® Candy Cane’ by Syngenta Flowers — Offers a truly unique flower pattern which commands curbside attention. 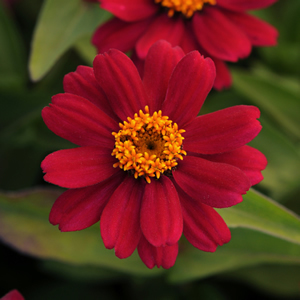 Second Place: Zinnia ‘Zahara™ Cherry’ by PanAmerican Seed — Grows fast and offers continuous blooms in both containers and landscape beds, or just about any other sunny location where you want loads of bold color. 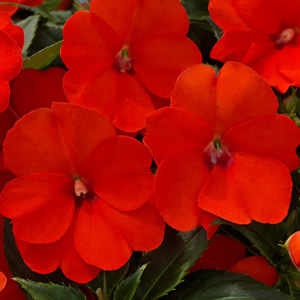 Third Place Winner: Impatiens ‘SunPatiens® Compact Electric Orange’ by Sakata Ornamentals — Brings a new color – a vibrant, deep orange — to the popular SunPatiens® line.